Building on its success with offering clinicians more advanced options for neuro MR imaging, Toshiba Medical, a Canon Group company, is demonstrating the Vantage Galan™ 3T XGO Edition with the all-new Saturn X Gradient (pending 510(k) clearance) at this year’s Radiological Society of North America (RSNA) annual meeting in Chicago, November 26 – December 1, 2017 (Booth #7330, North Hall B). The Saturn X Gradient features an advanced strength of 45 mT/m (milliTesla per meter) to offer health care providers fast, higher-resolution imaging, while continuing to deliver streamlined workflow and superior patient comfort. 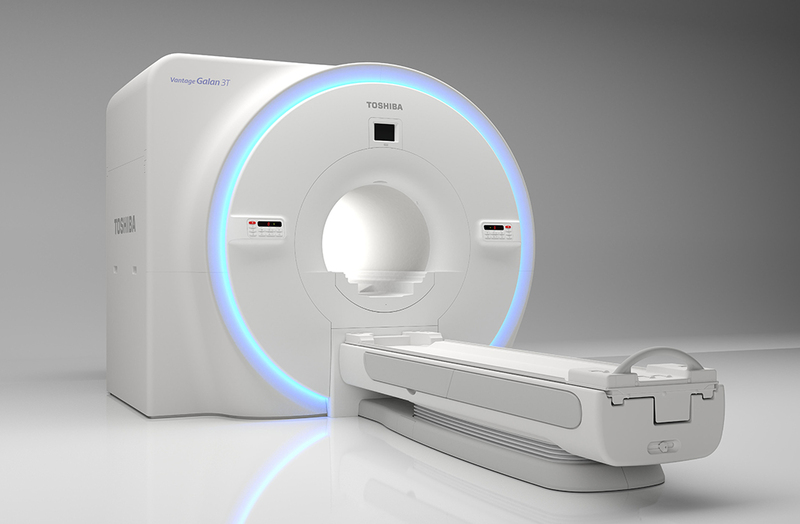 The Saturn X Gradient on the Galan 3T XGO Edition comes with Toshiba Medical’s PUREGradient digital technology, which can provide up to 30 percent improved signal-to-noise ratio (SNR) for brain diffusion weighted imaging (DWI), resulting in even higher-resolution neuro images than previously offered. The Galan 3T XGO Edition offers the ability to conduct quick, comfortable and high-quality neuro imaging exams, and allows for faster sampling and higher-resolution images, thanks to PURERF and Saturn technologies. This, combined with the ability to stack protocol sequences, results in quick neuro exams, enabling healthcare providers to produce higher resolution images for myriad neuro exams in under five minutes. * The Galan 3T XGO Edition also offers Multiband SPEEDER technology, which allows for multiple slices to be acquired at the same time, reducing diffusion weighted imaging scan times by up to two times. Beyond its neuro capabilities, the Galan 3T XGO Edition also offers enhanced cardiac capabilities, including T1 mapping that utilizes MOdified Look-Locker Inversion recovery (MOLLI) sequence and allows providers to acquire a more quantitative characterization of myocardial tissue within a single breath hold. Additionally, Phase Sensitive Inversion Recovery (PSIR) in the heart provides improved contrast in late-enhanced imaging and eliminates the need for inversion time (TI) calibration scan, allowing cardiac exams to be completed with fewer breath holds and greater patient comfort. For more information, visit Toshiba Medical’s website at www.medical.toshiba.com. Next articleIs the Answer Internship?